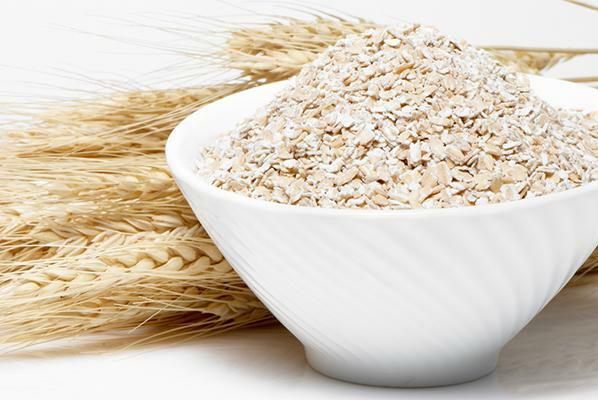 "Raw, unrefined products like fiber and whole-grain cereals reduce cancer risk by 30 to 35%," explains the researcher. Excluding genetic and behavioral factors, such as smoking and alcohol consumption, what can be done to help prevent cancer? Ahead of World Cancer Day, February 4, here's some the latest understanding of nutritional and environmental factors outlined by Marie-Christine Boutron-Ruault, a research director for the French National Institute of Health and Medical Research (Inserm) at the Gustave-Roussy cancer research institute on the outskirts of Paris, and vice president of the "Human Nutrition" expert committee at the French Agency for Food, Environmental and Occupational Health & Safety (Anses). What links can currently be established between cancer and diet? We have known for a long time that lifestyle and, in particular, diet can influence cancer risk. When Japanese people emigrate to Hawaii and start eating processed products, their cancer risk increases by a third. We can affirm that raw, unrefined products like fiber and whole-grain cereals reduce cancer risk by 30 to 35%, especially cancers affecting the digestive system, such as colon cancer, pancreatic cancer and stomach cancer. Fat and, in particular, being overweight, are a risk factor for almost all forms of cancer (especially liver and pancreatic cancer), as this has an effect on hormones. For example, after menopause, women who gain weight have a heightened cancer risk. What foods have a direct impact on cancer risk? Today, we know that deli meats (charcuterie) and red meat increase the risk of cancer of the intestine and the stomach, as indicated in the latest WHO reports. These should remain treat foods to be eaten in quantities of around 25g per day. We also know that combining antioxidants like fruit and vegetables decreases the aggravating effect. What is currently known about how the environment impacts cancer? For the moment, we don't have any real estimation, apart from people directly exposed to pesticides or toxic substances, such as farmers. However, we can affirm that these products represent a risk factor, which is difficult to measure. Be careful not to throw out the baby with the bathwater, however, by no longer eating fruit and vegetables on the assumption that they could potentially be harmful. The risk can be reduced by choosing good-quality seasonal produce. Studies are underway in France and elsewhere to evaluate these risks. Can dietary supplements help prevent cancer? It's better to get vitamins from food rather than dietary supplements, which can have a counter-productive or even harmful effect in terms of cancer. We have shown that there was around 50 to 60% greater risk of breast cancer in women who took 500mg of vitamin C every day, on top of a diet that already contained a sufficient amount. The same can be said of vitamin D. We tend to consider deficiency as a level reaching 20ng in the blood. Between 20 and 30ng, the level must be considered normal. There is no reason to supplement intake. For people who are overweight, obese or have a BMI lower than 25, I recommend daily drops. At the present time, cancers affecting the digestive system have been linked to vitamin D deficiency.